Bring focus to your living room with this simple yet eye-catching cocktail nesting table. 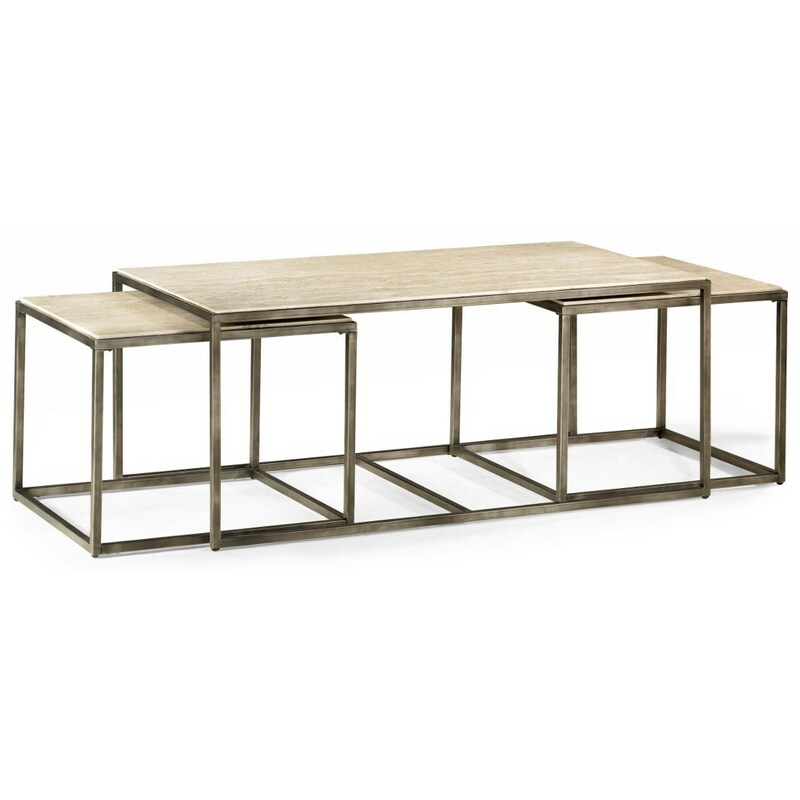 The table features a simple rectangular shape with a stunning Natural Travertine table top. Supporting the table is a Bronze metal box frame. Accompanying the cocktail table are two additional tables that comfortably fit underneath the table. These tables easily pull-out to provide additional table space and can easily put away when not needed. What an innovative and modern solution for modern entertaining! The Modern Basics Nesting Cocktail Table by Hammary at HomeWorld Furniture in the Hawaii, Oahu, Hilo, Kona, Maui area. Product availability may vary. Contact us for the most current availability on this product. Spice up your living room with a collection that offers style for modern living. 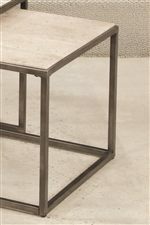 This occasional table collection consists of a combination of Natural Travertine and Bronze metal for a sleek, contemporary look. Featuring simple silhouettes of circles, rectangles, and squares, you can be sure that this collection can fit in with just about any style decor. Simple, straight lines make up the leg supports, while a simple palette of travertine makes up the table tops. What a wonderful way to bring in an element of modern living. The Modern Basics collection is a great option if you are looking for Contemporary furniture in the Hawaii, Oahu, Hilo, Kona, Maui area. Browse other items in the Modern Basics collection from HomeWorld Furniture in the Hawaii, Oahu, Hilo, Kona, Maui area.